Telemark Biathlon athletes Kira Friesen and Natalie Benoit have just wrapped up an outstanding week of racing in the Canadian Biathlon Championships at Whistler BC. Friesen and Benoit each qualified to compete at Nationals having achieved outstanding results this Winter in multiple sanctioned Biathlon races, including the Biathlon BC Cup #5, which was held right here at Telemark Nordic Club. 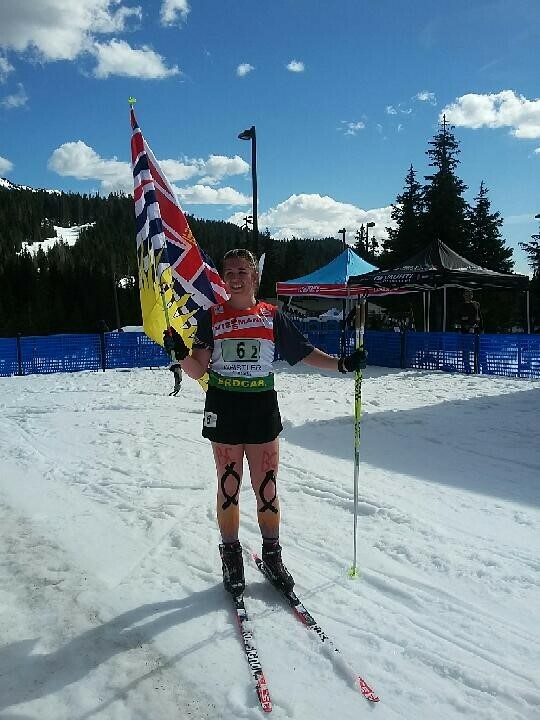 At the Canadian Biathlon Championships, 100’s of athletes and coaches from across Canada were hosted by Whistler. Dozens of race officials, scores of volunteers and many excited families and supporters all made it happen. 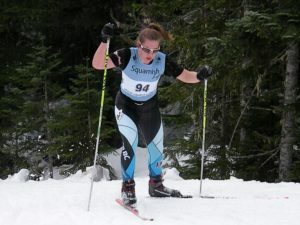 Racing kicked off mid-week with the Canadian Championship Sprint and Individual competitions on Wednesday and Thursday. Natalie collected a 10th and 7th place respectively in a field of 25 Youth Women from across Canada. 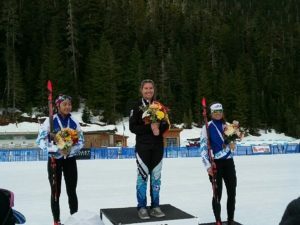 Kira, who raced a field of 20 Senior Girls racked up a Bronze medal in the Sprint and added an impressive Silver in the Individual competition. Friday 29 March was a training day. 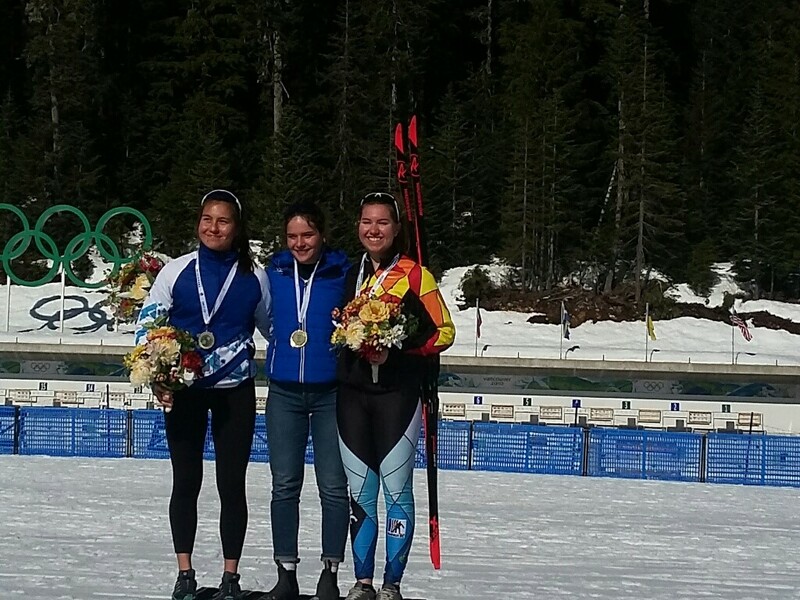 Then on Saturday, the Pursuit race saw Kira dominate the entire Senior Girls field to bring home the Gold while Natalie scored another top 10 finish in the Youth Women category. The weather was warm with sunscreen being de rigueur! On Sunday, Kira and Natalie both raced in the relays. Natalie was paired with Cole Bender from Omineca (Burns Lake) in the Single Mixed Relay and this dynamic duo scored a 7th place finish and the top BC Youth team. 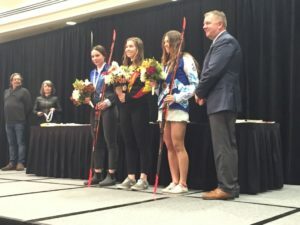 Kira and her relay partner Ksenyia Lypko from The West Coast Nordic Club (Fraser Valley) each cleaned all of their shooting bouts to finish 3 minutes ahead of the Silver medalists. That’s right, Kira Friesen not only got a full suite of medals, she also hit double gold at these Championships! 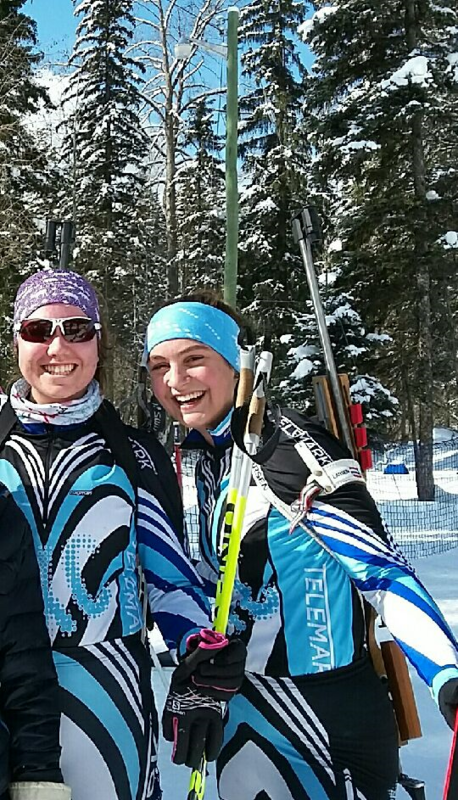 Both of these Telemark athletes have worked so hard, representing our wonderful club and province, honouring Sport, their fellow competitors and having a good dose of fun along the way. Kudos to Kira Friesen and Natalie Benoit! Way to Go Telemark! 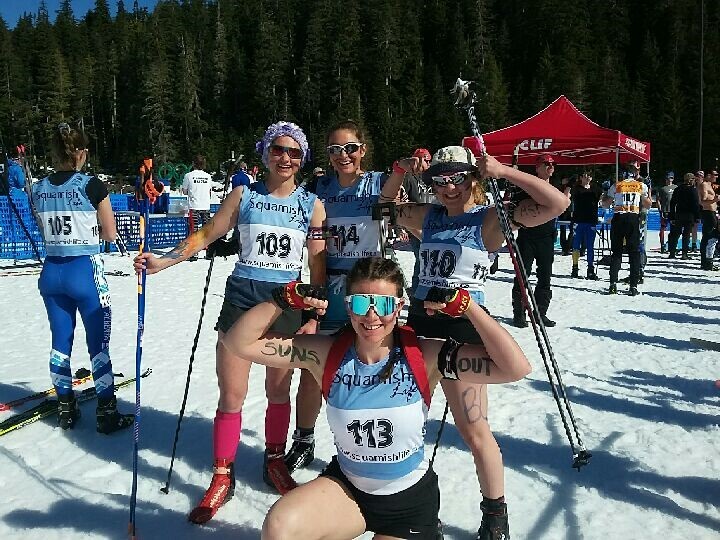 Shoot clean, ski fast! Kira carrying the flag at the finish of her Relay victory. Bravo, Kira! Kira Friesen shown here powering up this hill to a Silver medal in the Individual race!